Chiropractic care is safe and effective for disc injuries and problems. Some people refer to problems with a disc as a “slipped disc,” but discs don’t actually slip out of place. Discs do, however, bulge or herniate, causing pain and/or numbness, tingling, and weakness radiating into the arms or legs. The pain and other symptoms are caused when pressure on the spinal nerves cause what is commonly called a pinched nerve. Pinched nerves can lead to inflammation, pain, and impaired function. Pressure on spinal nerves can cause your symptoms to travel away from the spine, along the course of the affected nerve. For example, the nerves near the neck travel down the shoulder and extend into the arms, hands, and fingers. This is why many neck problems cause symptoms into the arms and hands. The nerves of the low back join to form the sciatic nerve, which travels down the legs into the feet. This is why a “pinched nerve” in the low back with symptoms radiating down the leg is referred to as sciatica. Discs can be injured by acute trauma or over time by poor posture, lifting improperly, and loss of normal spinal functions such as joint restrictions, misalignments, and subluxations. Whatever the cause, a herniated disc usually responds well to chiropractic adjustment. When a disc herniation is suspected, Dr. Moramarco will perform a thorough examination, including orthopedic and neurologic testing. It is likely he will order an x-ray or MRI to determine the exact diagnosis and determine a treatment plan. Spinal adjustments are extremely effective in restoring normal vertebral positioning and joint function as well as helping the surrounding muscles and nerves. The goal is to decrease pain and enable a faster recovery. Dr. Moramarco will address activities of daily living, your exercise routine, and/or home or workplace ergonomic conditions which may aggravate your condition. If you are experiencing the symptoms of a disc injury or “pinched nerves,” call us today. We can help resolve your back pain. Clinical experience shows surgery is rarely necessary and should only be considered after trying conservative therapy. Chiropractic care may very well be the answer to your herniated disc. Contact us online today to learn more about how we can help you. 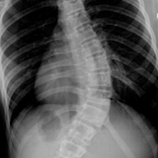 Spine conditions. 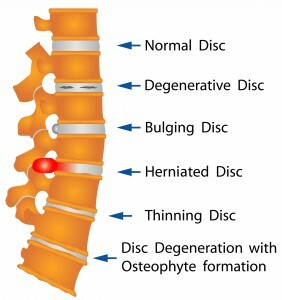 Degenerative Disc. Bulging Disc. Herniated Disc. Thinning Disc. Disc Degeneration with Osteophyte formation.